Are you looking for affordable life insurance to protect your mortgage and help your family pay off your mortgage loan if you pass away? If so, you may want to review your options for mortgage life insurance before choosing a plan. Many homeowners today are choosing mortgage life insurance with level coverage and level rates that remain the same each year for the entire length of their life insurance policy. When comparing life insurance plans to protect your mortgage, you may want to consider how many years you need coverage, what type of life insurance you need, and how much you can afford, as well as, how much life insurance you need. Mortgage life insurance usually provides coverage for 10, 15, 20 or 30 years. 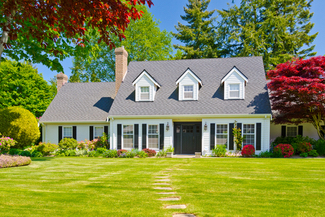 If you have a 30 year mortgage, you may want to choose coverage for a term of 30 years. How much mortgage protection do you need? Well, what is the outstanding mortgage loan amount? If it’s $300,000 then you may want to purchase $300,000 of coverage. What type of life insurance is right for you, to protect your family, and your mortgage? Mortgage life insurance protection is life insurance that provides money to pay off your mortgage in case you die while the mortgage is not fully paid off. The original type of mortgage protection insurance followed the balance of your mortgage. As your mortgage amount decreased over the years, so did the amount of your mortgage insurance. To get a level term life insurance quote to protect your family and your mortgage, click here. We've partnered with JRC Insurance Group to give you the best quotes from 40 top-rated insurers. Fill out one easy form and get your free life insurance quotes. If you like your quote, you can apply for coverage. Protecting your family in case you pass away, by purchasing mortgage life insurance to help pay off your mortgage, can be one of the most important things you do to protect your family’s future. Take time today to protect the ones you love.